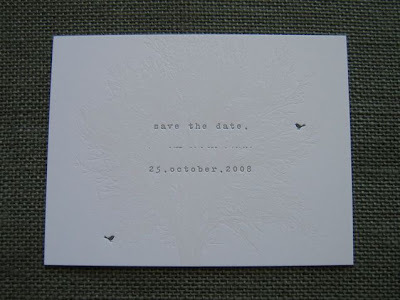 Isn't pretty.pretty.paper's save-the-date lovely in its minimalism? She's one of my new favorite bloggers, b/t/w. thank you for you oh so nice words and the oh so amazing opportunity of gracing your blog pages. p.s. 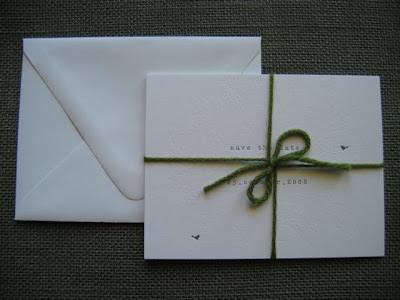 Would you mind if I changed my "invitations/paper" tag to "pretty paper"? you know i am an a*hole for just reading this comment, but why would i mind? please use pretty paper.